A picture says more than a thousand words. This is even more so true for statistics. Visualizing results, generating plots from data is an integral part of ADAMS. Check out what ADAMS can do in the visual department. Note: the videos should only be considered educational, as some of the concepts in ADAMS have changed over time. E.g., global actors are now called callable, since they can appear in different scopes within the flow. 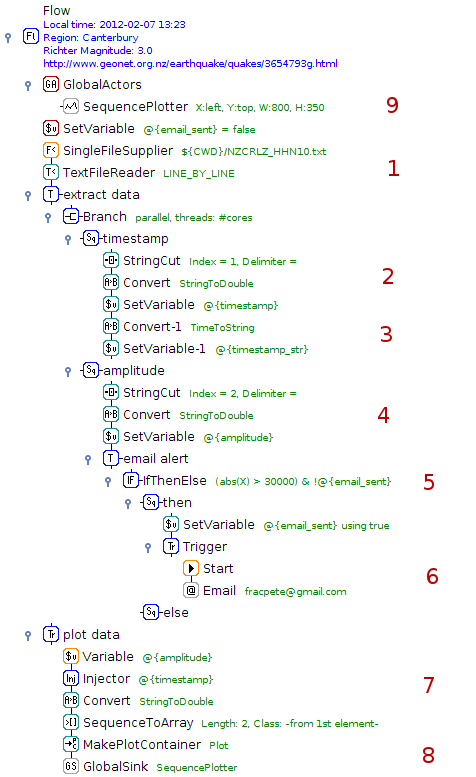 Also, SingleFileSupplier and MultiFileSupplier got merged into the FileSupplier actor. 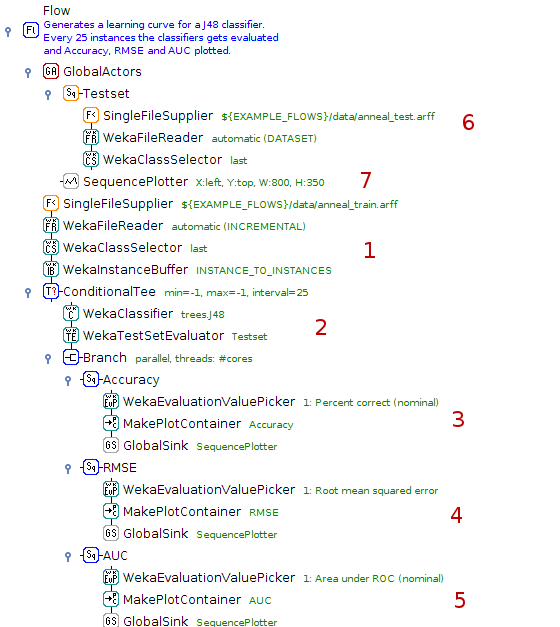 Generates and visualizes a learning curve for J48, a non-incremental WEKA classifier. The classifier gets trained every 25 instances and evaluated against test set and Accuracy, RMSE and AUC gets plotted in one plot. Retrieve AUC (area under curve) statistics and generate plot container for AUC sequence. Seismic data was retrieved using the Geonet client. 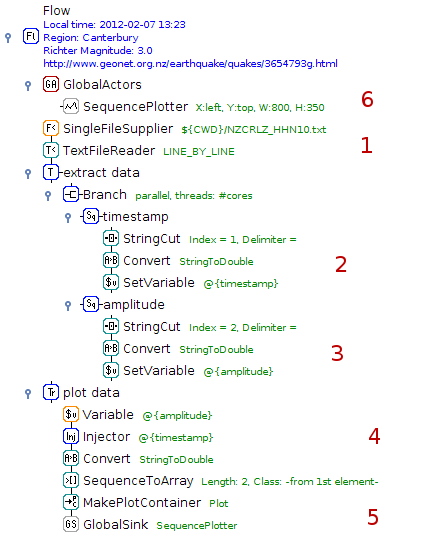 Seismic data was retrieved using the Geonet client. Apart from visualizing the data, this flow also sends out an email alert if a tremor exceeds a certain strength. Illustration of sensor data processing with the ADAMS/LEIA workflow engine. Demonstration of the ADAMS/LEIA workflow engine on traffic sensor data.